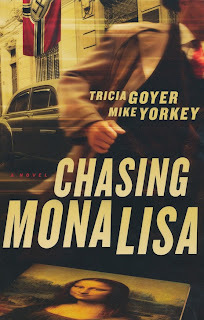 Chasing Mona Lisa is a war time tale of adventure, action and conspiracy. The Nazis are invading Paris and pillaging their history and culture and shipping out of Paris. With Paris on the brink of Liberation who will preserve what is left? Are the precious artworks in Paris safe now that Paris is liberated, is it really liberated and free from the Third Reich? 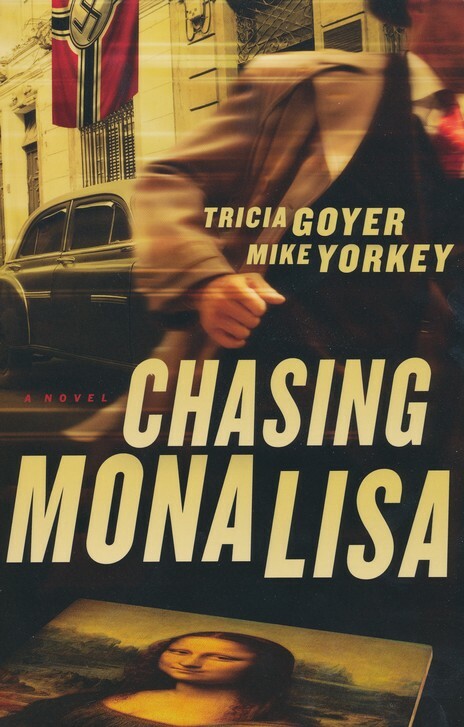 Swiss OSS agents Eric Hofstadler and Gabi Mueller are on the chase to recover one of the worlds most famous and valued paintings; The Mona Lisa. I am a big fan of Historical Fiction. This book gives us a very realistic picture into World War II in Paris, you can read from the descriptions that there has been a lot of research put into creating this novel. The author(s) do/does a great job putting you into the story and imagining what it was like at the time. What is lacking in the novel is the character development. To be fair, when I received the novel, I was not aware that the man characters (Eric and Gabi) were in a previous novel by the same authors. There very well may have been a lot of character development in the first novel; as a stand alone novel I found it very difficult to connect to the characters. This book is full of action, but it was difficult to get me on the edge of my seat because I have no attachment to the characters. The downfall of this novel may also be it's strength, it iswell researched. Sometimes it was a little too much information, and I found out more about the war than I did about the plot of the story. With a bit better balance in research and integration of plot and character development, it would have made for a better read. A fan of war time novels, I could see really enjoying this book. I also don't see much of a connection to the novel being labelled as a Christian Novel. I don't strictly read Christian Novels, but I don't know why this book would be in this category, save for the modest language and content. This is not a bad book, it is not a must read either. I wish I would have read the first novel by these authors first, to see if there was any more character development.